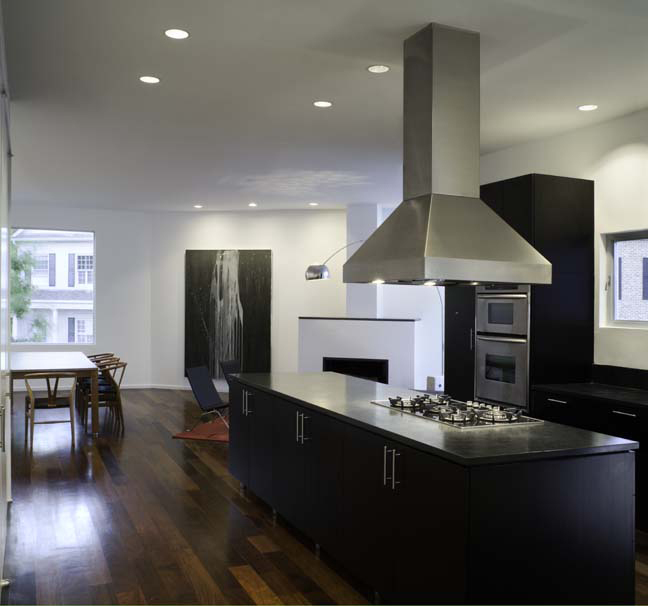 De Menil has recently completed the design of two freestanding homes in Temple Terrace facing the downtown skyline. Located one block off Allen Parkway, the homes are situated on an elevated site connected by a plaza and underground subterranean parking. De Menil's refined attention to materials and the art of construction is apparent, and the spaces exhibit his innovative design and his simple palate of materials. 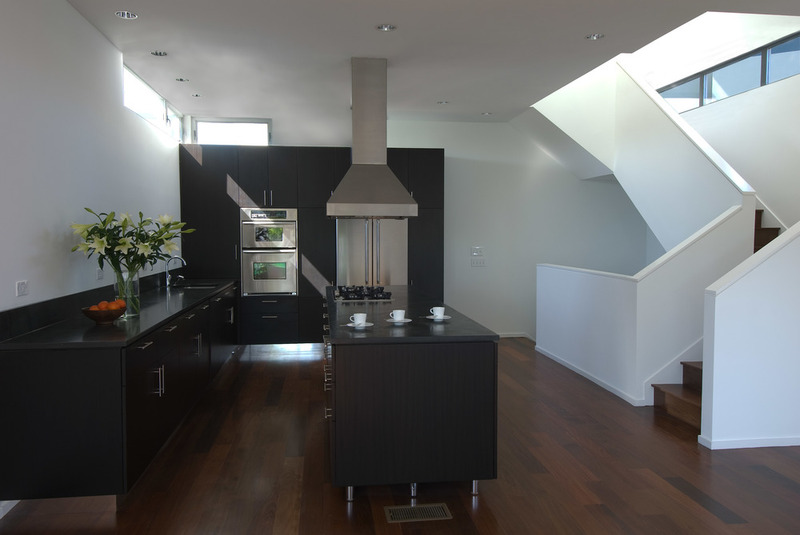 Views and changing qualities of natural light figure strongly into the architecture, along with right angles and straight lines taht reverberate harmonically. There are terraces, skylights, spare gallery spaces, and roof gardens. The essential meaning of de Menil's work has always been the artful crafting of space and light and his homes are a stunning feat of design displaying an elegant simplicity. 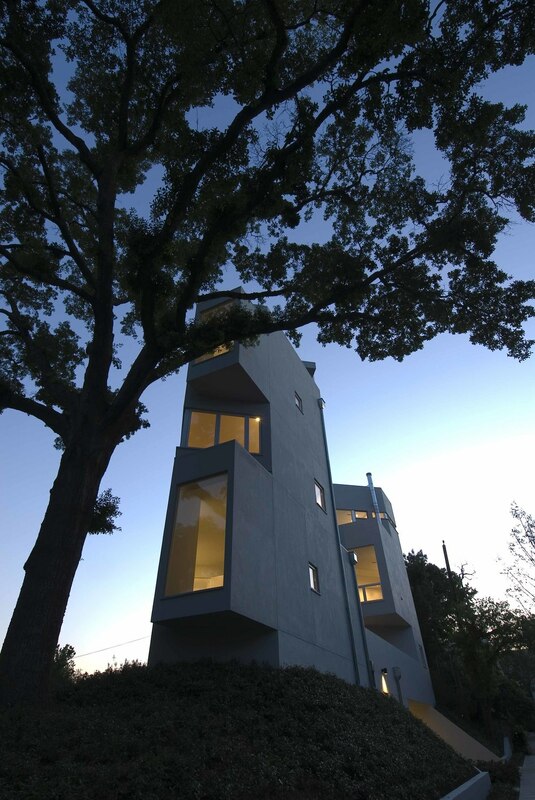 Other projects by de Menil in Houston are 2233 University Boulevard and a home featured on the 2003 Rice Design Alliance Tour, 1319 Banks Street. Both homes are sold.